Under no circumstance does an individual approach marriage with the thought that the relationship may one day come to an end. Unfortunately, the day you have to approach your spouse and ask for a divorce is a day that far too many Americans are familiar with. Often a divorce can be unexpected, and you may come to the realization that the relationship is not what it once was. Therefore, it is important to be aware and always plan for the future. Furthermore, should you feel the need to file for divorce it is important to discuss your situation with a divorce attorney prior to taking any action. How Do You Tell Your Spouse? Be straightforward with your intentions: it is best to be clear and concise with what you would like to do. It may be tempting to be indirect and dance around the idea, but it is in your best interest to ensure that your spouse knows you would like a divorce and you will be proceeding in the near future. Timing is important: once you know that you would like a divorce, do not delay. Inform your spouse of your intentions right away and be sure to pick a time to inform your spouse where you can have a direct uninterrupted discussion. Safety is paramount: if you believe that your spouse may receive the news and resort to anger or violence, it is critical that you are prepared and ask for a divorce in a public setting. Should you feel like you should refrain from any face to face contact, it is perfectly fine to notify them of your intentions over the phone. Take the conversation seriously: never use the idea of divorce as a threat. Under no circumstances should this conversation be used as a tool in an argument to manipulate your spouse. It is imperative that you only ask for a divorce when you are certain you will go through with it. Following these steps can provide solid footing in an otherwise difficult situation. By no means will this alleviate the strain associated with this emotional time, however, following these steps will ensure that you approach the conversation in the right state of mind. Following this conversation, it is time to reach out to your attorney to formulate a plan that protects your future and the future of your children. In some situations, a marriage reaches a point where it is in the best interest for each party to go their separate ways. During this time it is important to get your affairs in order and position yourself in a way that is optimal for your future. If you or someone you know is in this position it is best to consult with an attorney. Attorney Sandra Bonfiglio, P.A. 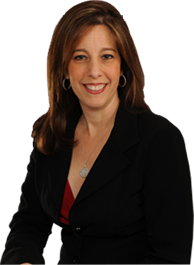 in Fort Lauderdale is an experienced attorney with extensive family law experience. Contact Attorney Bonfiglio to discuss your situation and determine a plan to protect you and your family. Call today for a free consultation.